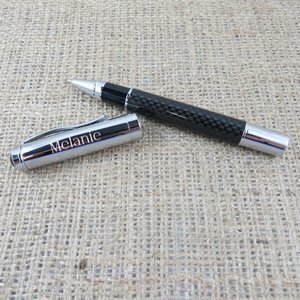 This attractive personalized engraved carbon fiber pen not only looks good, but it also writes like a dream! 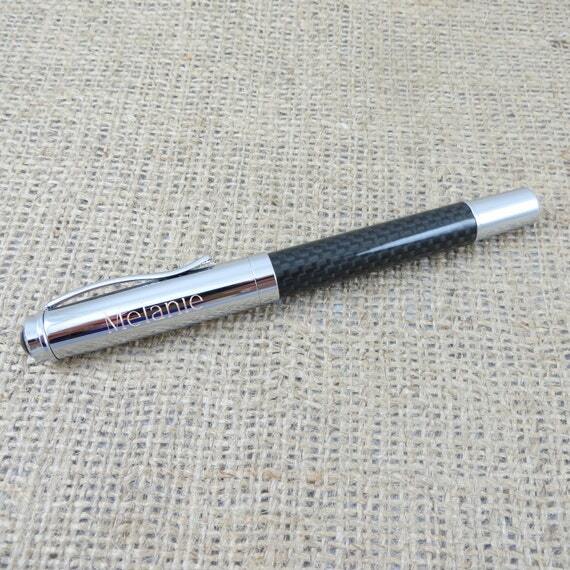 Black and high-gloss sliver exterior is ideal for men or women. Size: 5 1/2 x 1/2".